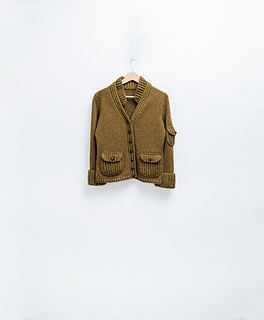 A cardigan for the girl who’s finding her own way. 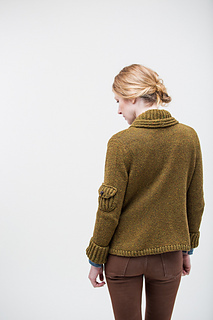 Chunky brioche details, patch pockets on the fronts and elbows, and a unique collar combine for a look that’s at once tough, feminine, and smart. 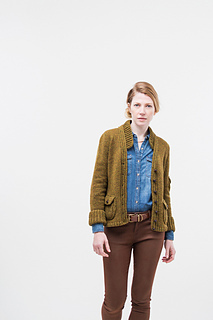 Knit flat with waist shaping and set-in sleeves, Marshal is designed for a classic fit. 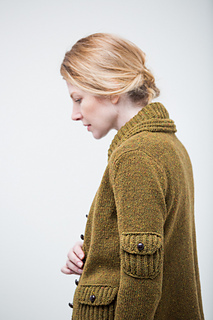 The stockinette body is worked in Loft, while the brioche accents are in Shelter for bold texture.